Pizza Hut, the fast-food giant founded in 1958 by Frank and Dan Carney, has made many investors serious cash. Although the startup costs can seem high, Yum! Brands Inc.—parent company of Taco Bell, Kentucky Fried Chicken, A&W Restaurants, and Long John Silver’s)—lends substantial support in both the marketing and buildings guidance areas of starting a Pizza Hut franchise. As with any franchise, the profit potential isn't guaranteed. The weight of a franchise's income stream is dependent almost as much on the franchise owner as on the brand itself. As is to be expected, a strong credit history is listed on the Pizza Hut website as one of the main factors in approval. More in-depth financial statistics are available in the company's Franchise Disclosure Document (FDD). Yum! Brands Inc. is careful not to make any financial promises, since so many factors affect bottom line and the ability to capture a slice of the competitive fast-food pizza market. What Are Some Additional Costs? The initial investment required to open a Pizza Hut location is between $295,000 to $2 million, with a net worth of $700,000, and $350,000 in liquid assets; however, there are also other requirements to consider. You must commit to building at least three restaurants over three years. The cost of land, training, hiring, and development all rest on your shoulders, which is why the FDD is almost devoid of information that is dependent on the franchisee. A saying in the real estate market goes, "You make your money when you buy, not when you sell." This seems doubly true here, as the two largest "variable" costs listed in the startup costs section of the FDD are land and delivery vehicles. This leads one to believe that quality location and high-quality contracting ensure a profitable start to franchise operations. 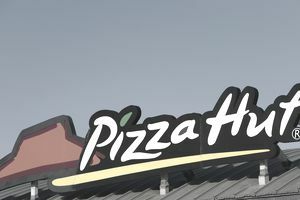 Although the company mentions on its website that "a new franchisee may, for a fee, secure Pizza Hut’s services to complete its construction process," it is usually more cost-effective to requests bids from various contractors. Yum! Brands offers the power of a well-tested media department. It includes two national media budgets, two category-leading brands, and two menus (to test in your location). Since the company has so many fast food chains it markets for, their teams will develop a direction suited to your location and demographic that has usually been tested in various other locations. The company's expertise can broaden customer appeal, which has the potential to increase the average check size. Field offices are located throughout the U.S. to support franchised and company-owned restaurant operations. Pizza Hut is part of an organization that offers tremendous franchise support, including advertising, business coaching, training, development, and cooperative sourcing. Performance improvement programs and support are also offered to each new franchisee, along with 12 to 16 weeks of required training. Pizza Hut represents a strong brand that has demonstrated economic stability over time. Yum! Brands is committed to franchising, with over 80 percent of its stores owned by independent franchise operators, which as of 2018, numbered over 15,000 in the U.S. alone. Ranking. Ranked No. 11 in Entrepreneur's Franchise 500 in 2016. Pizza Hut has been making pizza for over 50 years, serving up original-style pizzas available in a variety of crusts. As America’s first national pizza chain, Pizza Hut has enjoyed continuous growth. At present Yum! Brands is the worldwide leader in multibranding, offering consumers choice, convenience, and value by combining multiple brands under one roof. Multibrand opportunities still exist across America, though some have proven less successful than others.Yum! Brands’ multi-brand offerings, including Kentucky Fried Chicken along with Taco Bell, have historically proven to be more successful, albeit with higher start-up costs. Within Yum! Brands, Pizza Hut seems to be somewhat of a straggler in the franchise department, although a logo and corporate rebrand in 2014 was tested and implemented company-wide in an effort to tighten the gap between Pizza Hut and other, more popular franchise brands. The tag rolled out in 2014 reads “The Flavor Of Now," clearly exemplifying a push for a new identity. The redesigned logo and color scheme were created to attract a younger customer base to the aging brand, but the rebrand is a powerful step in the public idea of Pizza Hut. In many ways, Yum! Brands injected new life into the franchise, and the opportunity to secure a lower-cost franchise option like Pizza Hut is worth serious consideration.